UNDERSTANDING how the FOREX market works means that one has to immerse himself/herself into a sea of business trends, technical analysis, and opinions. It could be pretty daunting stuff in the beginning. The mere understanding of the business jargon is just the tip of the iceberg. It is vital to hold on to one’s patience as it takes time to acclimatize oneself in understanding how to be consistently profitable in a constantly changing environment. PATIENCE in FOREX trading eventually pays off as it allows you to sit back a bit and wait for the right trading setup. Most traders are too eager to jump in and trade whenever any opportunity arises. This is probably due to our human nature and the eagerness to make a “quick buck”. But if there is one thing that ensures a high probability of winning, it is having the patience to grasp all the necessary information before you trade. This apparently will take time as there are many factors involved in it, such as the forming of trends, trend corrections, highs and lows. Impatience to look at these matters could result in loss of money. It could be helpful sometimes to take a break, allow oneself to have the time to look at the bigger picture, instead of focusing too much on one aspect. Remember that a single transaction might resonate in a series of future losses if executed at the wrong moment. It takes time and patience to wait for the market correction, before you commit to a trade. BUT IT TAKES TIME…Some traders fail to realize that to be successful will take time. They often fall prey to their own impatience in the hope of earning fast money. It could be a rough environment, and charts might be hard to read, so it is wise at times to step back in order to avoid costly mistakes. Don’t rush things out, or try to enter in a trade at all costs by just following your gut. The market could be quite tricky and often does send out the wrong signs. Wait patiently for the best opportunities to align themselves and then act mercilessly. ANOTHER THING that urges a trader to lose patience is when a trading signal had failed in the past. This pushes traders to be emotional and overtrade in an effort to regain a loss. If there is one thing failure teaches us, it is to be more careful the next time. Act suddenly and the losses will not only double, but triple or quadruple… Avoid impatience at all times. It would help to let things slide for a while, take your time, and always bear in mind that good returns in trading as in life will take time. It would be fatal to invest and expect positive results right a way. That is one of the main reasons why beginner traders lose money in trading. AS WHEN writing a business plan, trading requires a clean perspective, focus, and eventually coming up with a plan for action. As mentioned, trading could be full with surprises (pleasant and unpleasant ones). These unexpected events could really test one’s patience. It is vital to understand and follow the game plan. Impatience among traders, with income generation always at the back of their minds, could throw them off the strategy. Needless to say, this could result in a loss of money. Some traders suffer one loss after another. Such a losing streak is comparable to a gambling atmosphere, where one becomes more aggressive each time, always looking forward to avenge a financial loss without taking the necessary steps in understanding the situation. Impatience makes us forget how important it is to know why we have made a mistake in the first place. A trader ought to take the time to look into the details of things, and why the mistake had been committed. Some skip this step and look forward to the next transaction to make. A hasty attitude is highly likely to lead us into a losing streak. A businessman follows a clean business plan. A trader must do the same- follow a strategy not your gut feeling. Finally, one must at all times and stakes follow his/her own trading rules. UNDERSTANDING WHY patience is important in FOREX trading is totally different from making it a practice. Some traders are so self-confident in their trading decisions that they forget to follow their trading plan and keep emotions out of the way. This could be a big waste on what could have been a great start, or a long trading career. To stay away from these errors it is important to always practice patience daily. Make it a habit to motivate yourself, especially if you had just recently been through a losing trade. Motivation is key in getting back up and being in the right mindset. Never make business decisions out of pure emotion. All business decisions should be made with a clear head after having analyzed charts, trends, and price action. If one leans too much on emotion, instead of being rational, it would not be surprising to start losing. This will lead you to overlook important factors that surround a particular trading decision. You could become too close-minded, and it would help a lot to relax and take a step back. Remember that you don’t need to make a decision right now, and there is always time for everything. Uptrends could eventually reverse and forecasting these patterns would be highly unlikely, if not impossible, with an impatient mind. You would not be able to see if a new developing trend without leaving space for corrections or reversals. Some patterns that take place could be messy at first and take time to develop on the Daily timeframe. Some trends break too early, and it is unwise to just quickly jump in a trade without properly observing the ensuing highs or lower lows. They don’t last on the trading arena in the long term. It is vital to keep in mind that it is perfectly fine to miss a trading set up as long as you stick to your plan. If you are not sure about the trend, it is right to take your time and let things properly unfold. If you miss the initial stage of a trend, wait for the correction. This way, you can at least be with a peaceful mind that you are on the right side of the market. It takes time to become a successful trader, versus an emotional gambler. The most important thing is to have the right mindset and strictly follow your trading strategy. It is vital to be motivated not just by the thought of making money but also by deriving pleasure from learning new things and improving your risk management skills. When I am feeling that I am acting on a gut feeling instead of strictly following my trading rules, I go out for a walk. If I don’t tick all of the boxes of a trading setup, I just don’t take a trade. There are a few other things that help me stay away from making emotional trading decisions: eat healthy, do sports and travel the world. Don’t be fooled that money can buy you happiness. Sometimes the really simple things in life like eating a fresh cold watermelon will do the trick- especially in the summer! Enjoy your life and do what makes you happy! Patience and risk management are so underemphasized to the beginner and intermediate traders. Unfortuantely as humans we crave instant gratification and the need to be right hence overlooking the importance to studying the two. It never ceases to amaze how the markets contnually teach us about ourselves. Uncanny how the lessons keeps getting repeated, I drift and wonder sometimes if the “market” is male or female. Must be female. IE: Obey my rules or no nooky tonight. I think wise to obey the markets rules and get what you want in the end. Great article and knowledge here. As trader with many years under the belt in this business, I can confirm patience is main factor between successful and unsuccessful trader, once the process is mastered and executed consistently trade by trade! 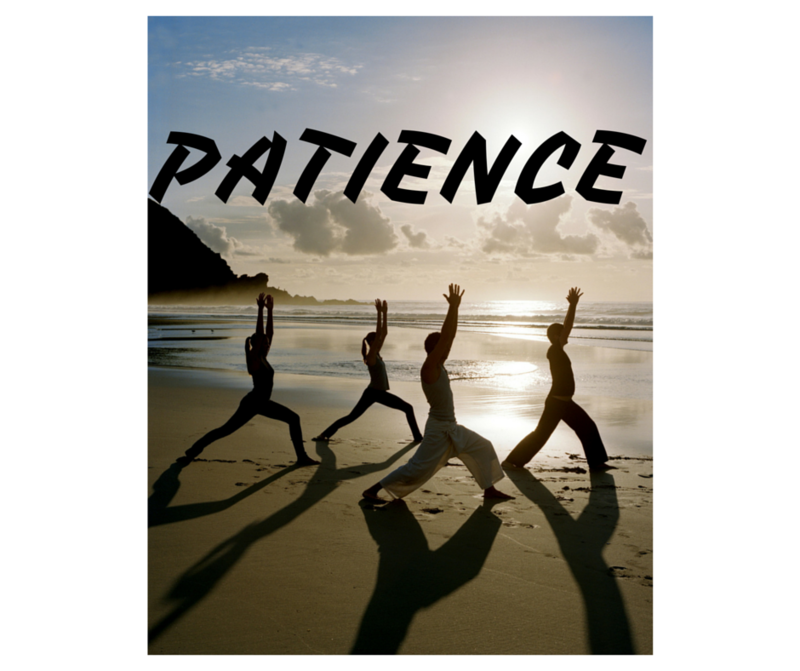 Not just patience to wait for good setups, but patience for the edge to play out once you are in trade, patience to stay away from bad market behaviour, patience with your edge and yourself, patience to not chase the moves,etc. Thanks for the nice words! I do appreciate your comment! I must agree with you and since patience is taking 90% of my trading, I must also say that no matter how hard you try, sometimes waiting is the best way to be profitable!